or ST1 represents the first test drive of the new rover. The tests were conducted at Jet Propulsion Laboratory in Pasadena, California, in the High Bay 1 cleanroom, where the technicians required white "bunny suits" to prevent the introduction of contaminants. Most of the team members were out of the room and looked in, with only two technicians checking the tests personally. Designed to be as realistic as possible, the tests included communication handled by X-band radio transmission, as was the case with the real 2020 mission. An electric cord umbilical power fed the data and power to the craft, and the launch capability was tested when power supply commands on the electrical components and thermal power configuration and telecomm systems were relayed. After several tests of the launch system, the landing sequence was tested as well as a deep space flight. The tests were successful and ultimately the team was able to perform two landings, four launches, multiple track correction maneuvers and deep space navigation. 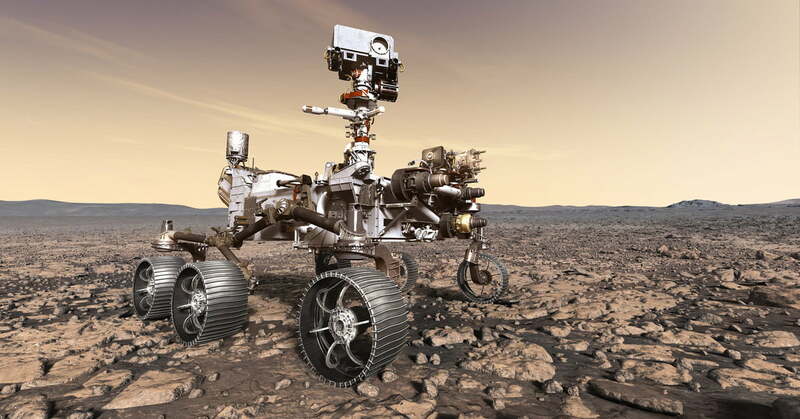 The next challenge for the rover is to see how it will cope with the low temperatures on Mars by testing its ability to perform in a cold environment. "One of the future scenario tests will place the rover inside a thermal chamber and simulate being on the surface," explained at the bottom. "It will undergo mission-critical activities at some very low Mars surface temperatures. Both literally and figuratively, it will be a very cool test."